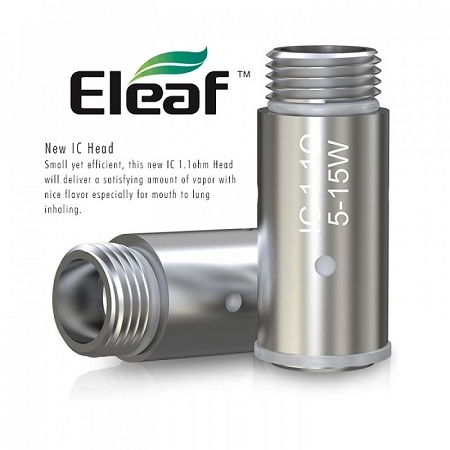 leaf’s 1.1 ohm IC replacement atomizer heads provide remarkable vapor and flavor despite their incredibly small size. Each coil head supports a single vertical coil arrangement thats wicked with 100% pure cotton. These replacement atomizer heads are constructed out of stainless steel and offer four wicking ports that allow for fast and seamless wicking during moments of intense vaping. 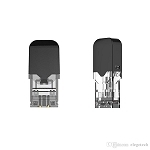 For best results, do not exceed Eleaf’s recommended 30/70 PG/VG ratio when using these coils. 1.1ohm - Sold in packs of 5.